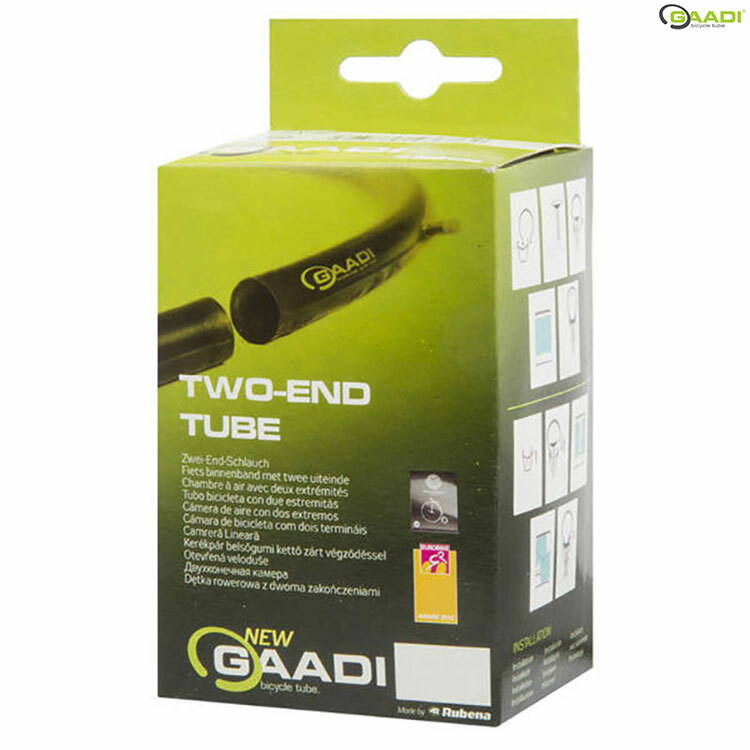 The Gaadi bicycle tube is made from a high-quality rubber compound and has two ends. The Gaadi bicycle tube, like most conventional tubes, is made from butyl and as such its weight when empty is the same as that of a standard tube. The valve is placed in the first third of the tube in order to make it easier to insert into the casing.